Made famous by the Lord of the Rings movies, this area of New Zealand outside the port of Tauranga holds beauty and serenity amongst the rolling green hills. 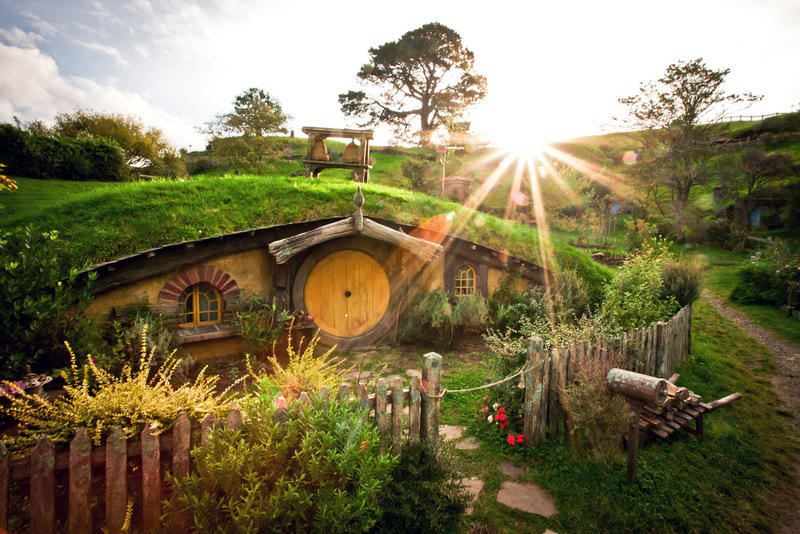 Viewing the distinct mountain range and volcanic domes, you’ll also get to see why Peter Jackson, the creator of the Lord of the Rings movies, chose this area as the perfect setting to portray middle-earth, and experience Hobbiton as a local. Ty E: "This was one of the best nature tours we have taken! It was a magical day and one of the highlights to our trip to NZ"
Bruce O: "Thankyou immensely, for wrapping up our holiday to New Zealand with a day we will never forget! 10/10!!" Your tour begins from the Port of Tauranga, where you’ll be met by your guide at the main pedestrian gates. Crossing the harbour bridge, enjoy great views of The Mount: a 232m high volcanic dome, which marks the entrance to the harbour of Tauranga. Before you know it, we will arrive at Hobbiton, the movie set location for the village in the Lord of The Rings films and The Hobbit movie trilogy. Here, we’ll meet a guide who knows the movies inside out and will reveal inside stories about these famous films, and even more famous location. Your two hour tour takes you deep into the rolling hills of a dairy farm where the original Lord of the Rings set was completely rebuilt for the Hobbit. Peter Jackson looked all over New Zealand to find a place that had lake, rolling hills, and of course, a ‘party tree’. During the tour expect to get up close and check out the Hobbit Holes,The Mill, double arched bridge and many other interesting structures and gardens from the movie. Image boards are strategically placed at key locations which allow you to see how this beautiful piece of Waikato farmland was transformed into The Shire from Middle-earth. Live like a local at the Hobbiton haunt: the Green Dragon Inn. Their specialty is the local shire ale, cider and ginger beer - so belly up to the bar and enjoy this special treat. On the return journey, time permitting, we will make a stop at the magnificent McLaren Falls, a popular area for outdoor activities and home to one of the best botanical collections of trees in the North Island.Arjhun T: I found the Back to nature tours via trip advisor owing to popular reviews and they sure did live up to my expectations.